Catch our sisters repping letters all recruitment week! To join Alpha Delta Pi, Potential New Members (PNMs) must participate in the Panhellenic recruitment week. During this time, PNMs will have the opportunity to meet and get to know the sisters of Alpha Delta Pi! To learn more about Formal Recruitment, check out the USC Panhellenic Council Website! On the final day of Recruitment, New Members are given their "Bid Card" which indicates which sisterhood has welcomed them into their Sorority. In USC tradition, New Members run down the row to be welcomed into their new home. Bid day is a fun time to get to know each other and celebrate our sisterhood! 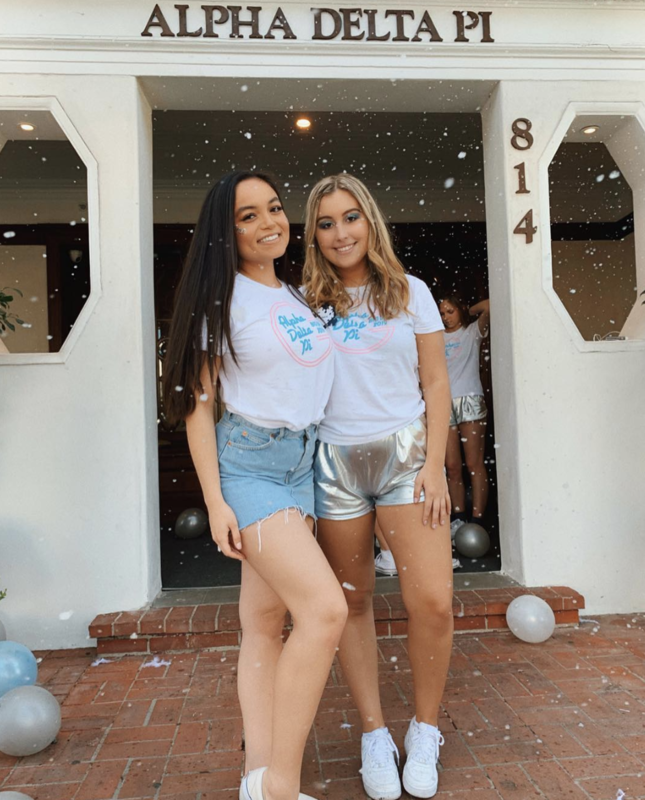 In the past, our bid day festivities have included the In-N-Out truck, a dessert bar, a ferris wheel, water slides, and an awesome dance floor!